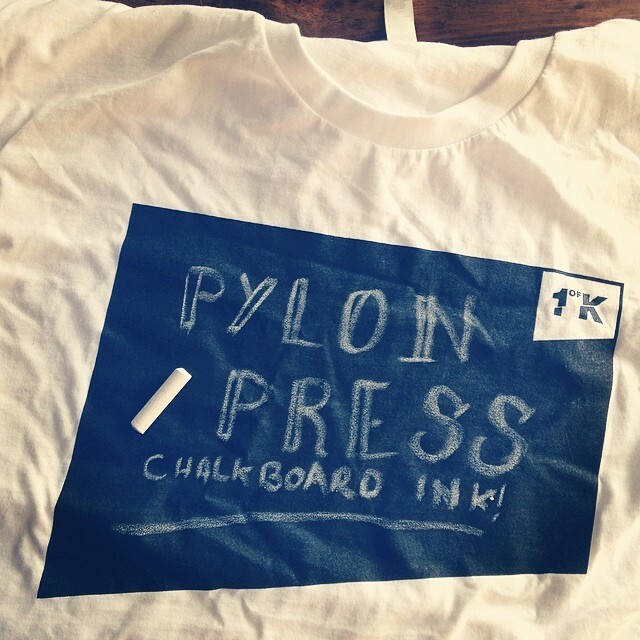 Did you know you can print a design with black chalkboard ink? Write on with chalk and wipes off with water. Also you can using chalk markers and paint markers for a more permanent mark. Ask about this or any other our special purposes inks we can print! Heres a quick video of our new shop and new M&R Diamondback 8/10 Printing Press!